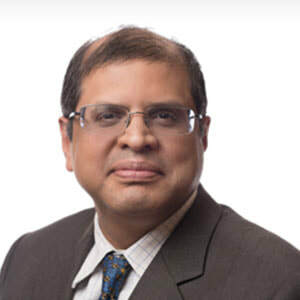 Amit Chandra is a Managing Director of Bain Capital, India. He has also been a part of the firm’s Asia Leadership Team since 2008. Amit is a board member of Tata Sons, Genpact, and GiveIndia, and serves as a trustee of Tata Trusts. He is a Founder and Governing Board Member of Ashoka University. Amit spent most of his professional career at DSP Merrill Lynch. He was named a Young Global Leader by the World Economic Forum in 2007 and was listed on Asia's Heroes of Philanthropy by Forbes in 2016, along with his wife Archana.